Our Chinchilla accommodation is the ideal stopover on your way along the Warrego Highway to Miles, Roma, Mitchell, Morven or Charleville. Here at the Acacia Motel we have comfortable rooms to accommodate the weary traveller or the intrepid holidaymaker exploring the inner reaches of Queensland. For the curious visitor, Chinchilla has a number of offbeat but enjoyable attractions and activities. A visit to the Boonarga Cactoblastis Hall provides an interesting slice of history where the town was saved from a prickly pear pandemic in 1935 with the aid of Cactoblastis cactorum aka the Cactus Moth or Nopal Moth. You can read the story of the Cactoblastis on an interpretive sign placed on the outside of the hall. The very friendly Visitor Information Centre is a very good place to ask about fossicking for petrified wood, or directions and advice about Chinchilla Weir. Here you can go water skiing, fish, swim or kayak (but you’ll have to bring your own). There are also great facilities for picnics and barbecues. The Chinchilla Weir is also an excellent place for bird watching, with over 50 species that can be spotted there. Check at the Visitor Information Centre before you go though, as the water levels do fluctuate. Take a scenic drive around the area. The Chinchilla White Gums, and the forest of termite resistant Cypress Pines inside the nearby Barakula Forest make for some interesting trips. The Kogan Creek Power Station offers an interesting experience from the public viewing areas — you can learn about its construction and operations up close. The power station cuts an impressive presence on the landscape even 30 kilometers from Chinchilla! Whether you are staying for a while or just passing through, our Chinchilla accommodation at Acacia Motels provides a clean and comfortable place to stay. Call us or book now for great deal. 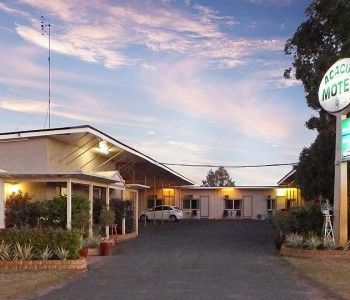 For visitors looking for Chinchilla motels Queensland, the Acacia Motels should be high on your list of places to book. Offering clean and comfortable accommodation with super friendly and helpful service the owners of Acacia Motel pride themselves on providing an accommodation experience that is second to none. Our rooms can accommodate most options, including queen bed, double bed, two singles, queen and single bed, or double and a single bed. For family accommodation in Chinchilla our studio style room which contains a queen and two singles with a small kitchen usually works very well. All rooms come free wi-fi, Foxtel, a small refrigerator, air conditioning and tea and coffee making facilities. Our cooked breakfasts are excellent and we start as early as 5 in the morning. We can also cater for packed lunches and dinners too if booked in advance. Chinchilla also has some very good spots for eating out. There are great Chinese, Indian or Thai restaurants, or takeout and there are also some excellent bistros serving solid Australian favorites. Jan’s Country Kitchen is a high performer with delicious lunch and dinner menus. Chargeback to your room is available at many of these restaurants. The Chinchilla Aquatic Centre has an indoor 25m heated pool and an outdoor 50m pool. 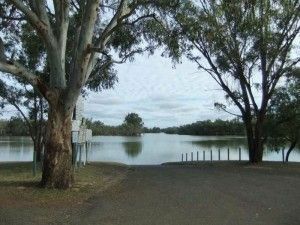 Just about the only place to take a dip in town, the Chinchilla Weir which is about 8 kms south west of Chinchilla is an excellent place to go water skiing, fish, swim or kayak (BYO kayak). 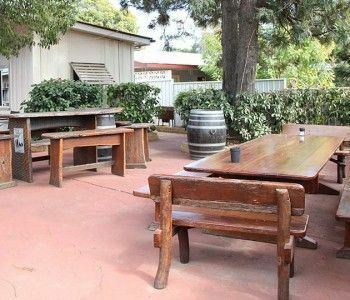 There are also great facilities for picnics and barbecues nearby. Guests staying longer can join the fishing club, Pony Club, or shooting range which also operates in the area, and of course there’s a nine hole golf course with an optional tenth watering hole at the end. Regardless of how long your stay at our Chinchilla motels Queensland, the Acacia Motels is very happy to make your visit as pleasant as possible. Don’t take any chances. Book now. Chinchilla was not named after those super cuddly Latin American rodents. Most locals agree that it came from the local Aboriginal word for the Cypress Pine, Jinchilla. 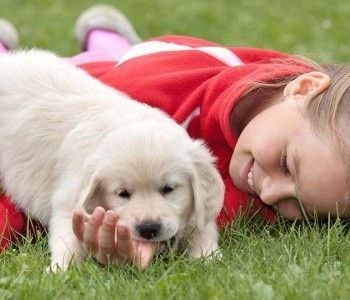 However, the Acacia Motel is the premiere Chinchilla pet friendly accommodation in town. Bring your dogs, they are welcome to sleep outside at the front door, or on the back of your ute. For the owners we have clean and comfortable Chinchilla motel accommodation suitable for singles, couples and small families with our studio style rooms with kitchenettes available to prepare simple meals. Our rooms come in a variety of configurations, queen bed, double bed, two singles, queen and single bed, or double and a single bed. Our studio style room fits a queen and two singles with a small kitchen. This is the perfect family accommodation in Chinchilla. With all rooms comes free wi-fi, Foxtel for movies and footie, a small bar-sized refrigerator, air conditioning and tea and coffee making facilities if you are not in a studio. Around town you will find the Chinchilla Aquatic Centre that houses an indoor 25m heated pool and an outdoor 50m pool. Just the place to take a dip. If you are in town for longer there are a number of sports clubs and facilities to join. There’s touch football, rugby league, cricket, tennis, squash, motocross, gymnastics, indoor netball, taekwondo, football and lawn bowls. A fishing club, Pony Club, and shooting range also operate in the area, and of course a 9 hole golf course. There are also several options for dining out. Choose from delicious Chinese, Indian or Thai restaurants, or takeout and there are also a number of very good a la carte restaurants serving robust Australian favorites. Jan’s Country Kitchen consistently rates with delicious lunch and dinner menus. You can even chargeback to your room from many of these restaurants. 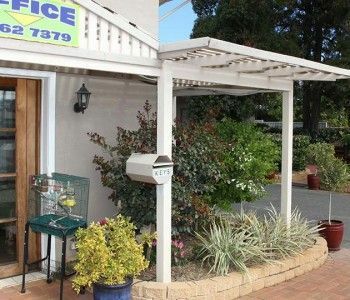 Don’t forget, the Acacia Motel is the premiere Chinchilla pet friendly accommodation in town. We can even cater for their meals too. 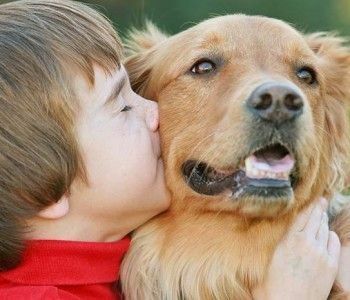 Book now, for your comfort and your dogs. Whether you’re passing through or staying for a bit longer our Chinchilla motels are the ideal Chinchilla accommodation option. At the Acacia Motel Chinchilla we have comfortable rooms suitable for singles, couples and small families with our studio style room with kitchenettes available to prepare simple meals. Our rooms come in a variety of arrangements, including queen bed, double bed, two singles, queen and single bed, or double and a single bed. Our studio style room contains a queen and two singles with a small kitchen which is an ideal solution for family accommodation in Chinchilla. All rooms come free wi-fi, Foxtel, a small refrigerator, air conditioning and tea and coffee making facilities. Our cooked breakfasts are legendary at this Motel accommodation in Chinchilla. For early starters we will have something on the table as early as 5 in the morning. We can also cater for packed lunches and dinners too if booked in advance. For family visitors, Chinchilla has a number of offbeat but enjoyable attractions to visit. A visit to the Boonarga Cactoblastis Hall (10km east of Chinchilla, along the Warrego Highway) provides an interesting slice of history where the town was saved from a prickly pear pandemic in 1935 with the aid of Cactoblastis cactorum aka the Cactus Moth or Nopal Moth. This museum which is on the Queensland Heritage Register, is apparently the only building in the southern hemisphere erected in tribute to an insect. You can read the story of the Cactoblastis on an interpretive sign placed on the outside of the hall. There are also several scenic drives around the region with interesting stories including the Chinchilla White Gums, and also the forest of termite resistant Cypress Pines inside the nearby Barakula Forest. Drive to the public viewing area of the Kogan Creek Power Station where you can learn about its construction and operations. Even though the Kogan Creek Power Station is located 30km south east of Chinchilla it has a dominating presence on the landscape and is hard to ignore. 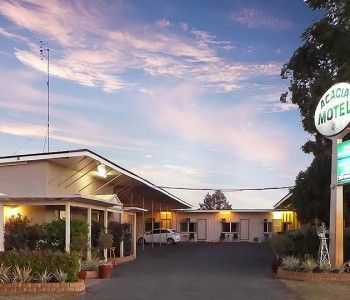 Whether you are staying for a while or just passing through, our Chinchilla motel accommodation at Acacia Motel is just the spot to lay your hat. Call us or book now for great deal. Our Chinchilla budget motel accommodation is perfect for visitors passing through Chinchilla looking for a place to lay their heads for the night, and perhaps catch up with some much deserved sleep with a lie-in. Our motel complex and peaceful location provides an excellent respite from what can seem a lifetime on the road. Our cooked breakfasts are excellent to set up for the day and with a start as early as 5 in the morning you can be sure you will get the most out of your day. Which is also why we have some of the most comfortable beds in Chinchilla. Whether you are after a queen bed, double bed, two singles, queen and single bed, or double and a single bed the choice is yours. We also have studios that fit a queen and two singles with a small kitchen — the perfect family-sized accommodation in Chinchilla. Our motel accommodation in Chinchilla also comes with free wi-fi, Foxtel for movies and footie, a small bar-sized refrigerator, air conditioning and tea and coffee making facilities too. For those who enjoy dining out, Chinchilla has it’s fair share of eateries. There are solid Chinese, Indian or Thai restaurants, and takeaways and also some excellent bistros serving solid Australian favorites. Chargeback to your room is available at many of these restaurants. If it’s hot and you fancy a swim, the local Chinchilla Aquatic Centre has indoor 25m heated pool and an outdoor 50m pool or you can take a drive 8 kms south west to the Chinchilla Weir where you can also go water skiing, fish, swim or canoeing. The grounds are also excellent for picnics and barbecues. Don’t forget to drop in on the Boonarga Cactoblastis Hall for an interesting slice of history. In 1935 Chinchilla was almost overrun by a prickly pear pandemic, but Cactoblastis cactorum aka the Cactus Moth or Nopal Moth was released to control the outbreak. Within a year the Prickly Pear was eradicated. As a tribute to the Cactus Moth the Hall was raised in their honour. An informative interpretive sign hangs outside the hall and tells the tale of this humble moth. So when planning your trip along the Warrengo Highway make sure you pencil in a stop at Chinchilla, and make sure it’s staying at our Chinchilla budget motel accommodation at Acacia Motel. For a comfortable nights sleep in Chinchilla, book now.